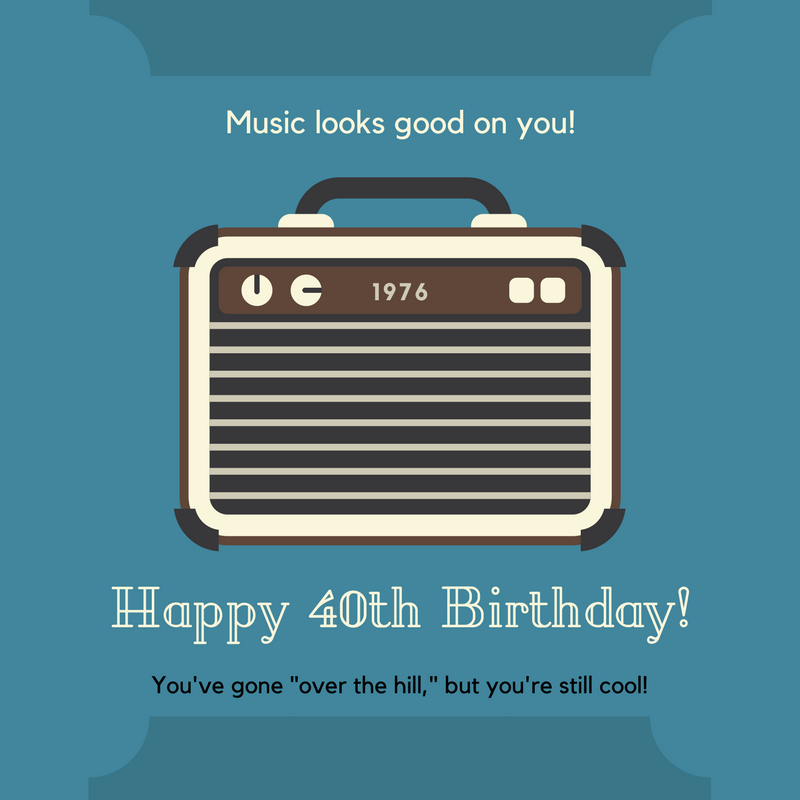 When you’re over the hill or getting there, the birthday celebrations should only become more meaningful, more fun and more memorable! 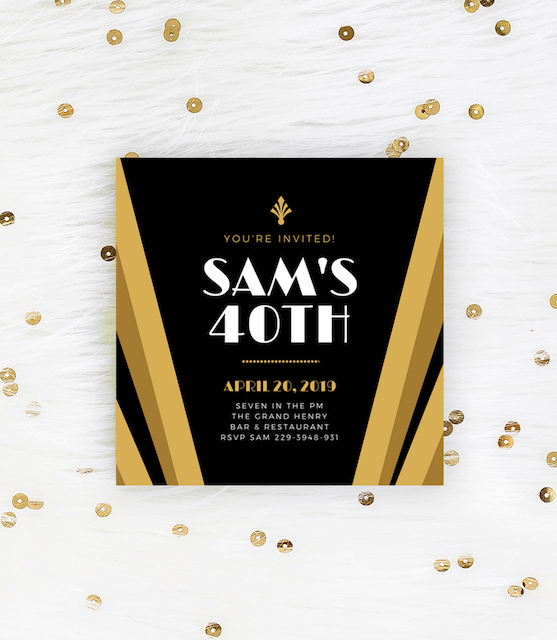 Throw an unforgettable Over the Hill party with a dose of inspiration and an assortment of ideas gathered from our compilation of creative and stunning designs and images! You’re never too old to have fun, so choose whatever theme you want for your Over the Hill party! 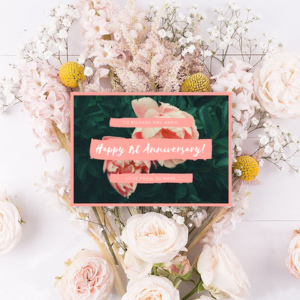 If you can’t think of a theme, browse through our special selection of templates for ideas as well as find an invite, card or graphic that suits your taste! Are you envisioning an elegant affair, a simple get-together, or a crazy party with wacky games? Let your imagine run wild and throw the Over the Hill party of a lifetime! Find inspiration and ideas from our fantastic compilation of imaginative designs and wonderful images! Going over the hill doesn’t mean skipping on sweets and treats! 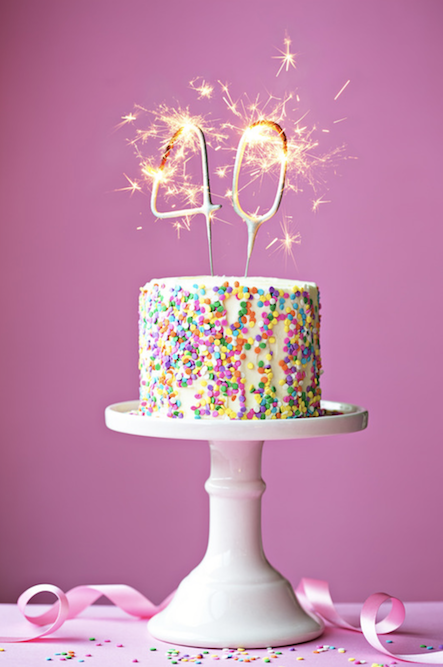 Complete the festive celebration with a birthday cake decorated with sparklers and colorful candies! 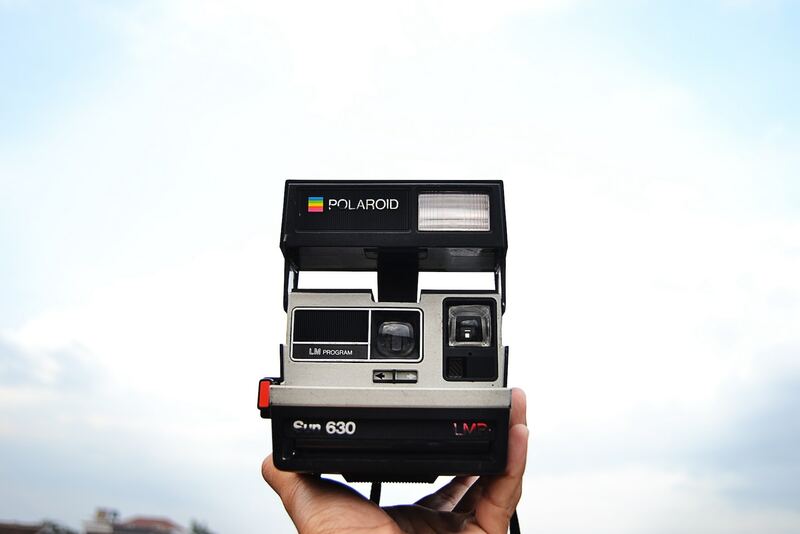 Go old school and use a Polaroid camera to take snapshots at your Over the Hill party! 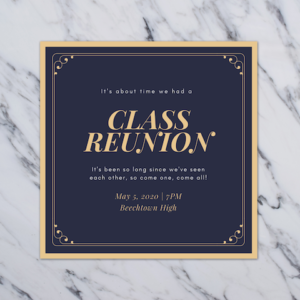 It lends a very sweet and nostalgic vibe to the event! 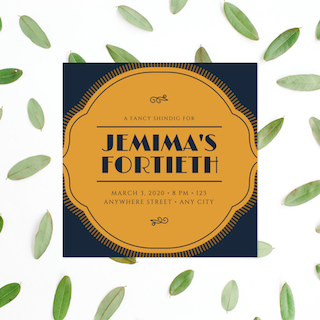 Set the tone for an elegant and fancy Over the Hill shindig with this cool birthday invitation. This invite sports a black and orange design and a mix of decorative fonts. 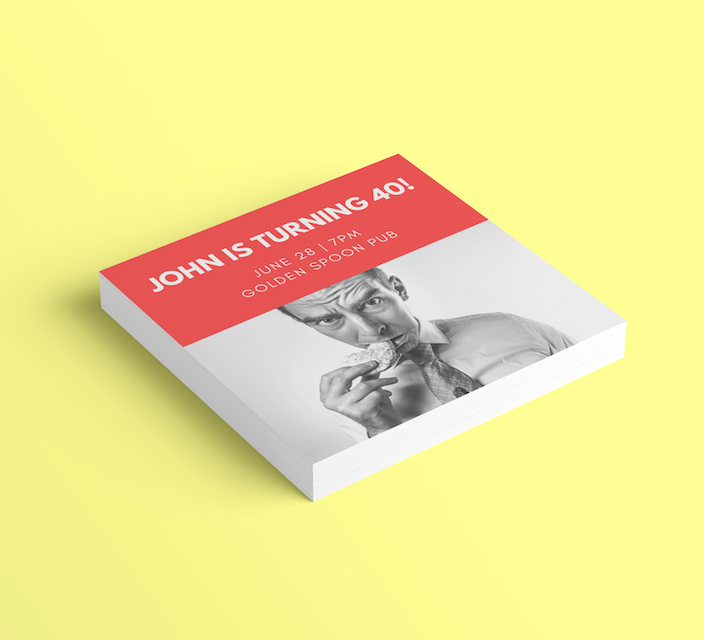 Give a fun and fab impression with this modern 40th birthday invitation. 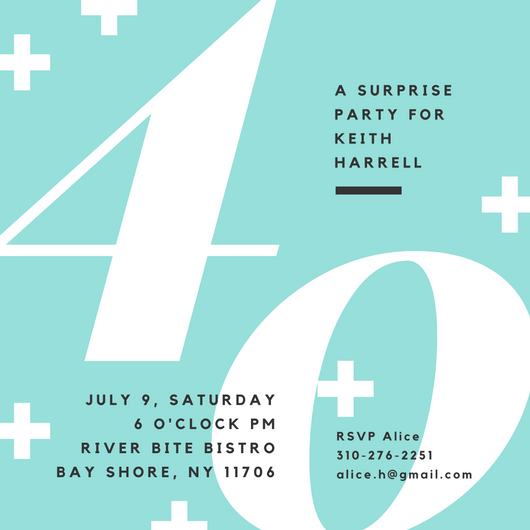 This invite features a pink and blue design with an illustration of a woman’s silhouette and modern print fonts. 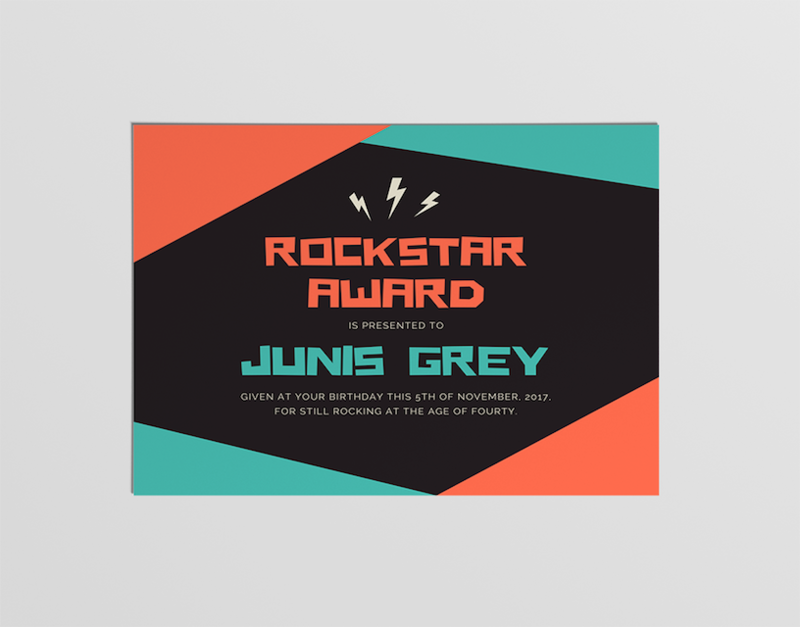 This colorful and contemporary design definitely certifies that you can still be a rockstar when you’re over the hill! 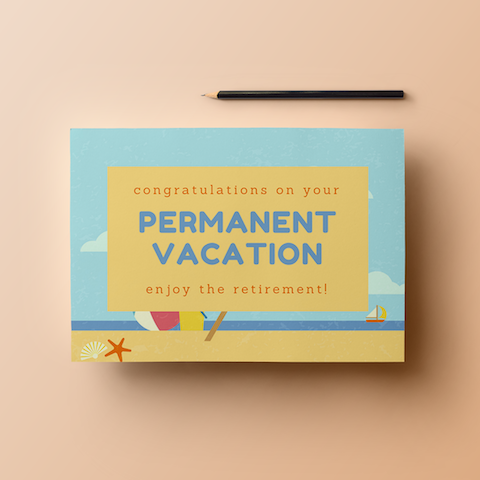 This birthday certificate features colorful shapes and text in decorative and print fonts. 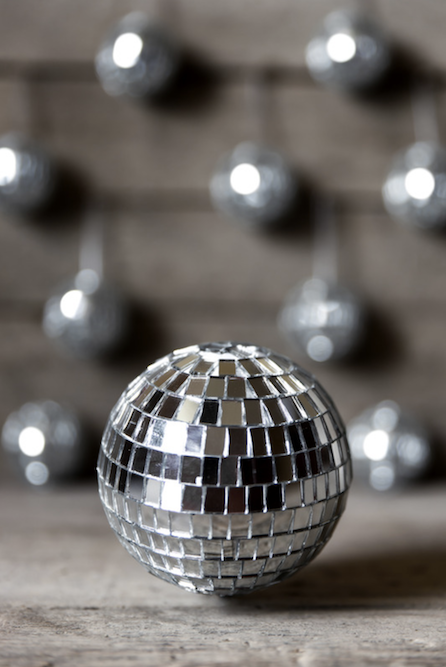 Take the party to the next level with a mirror ball or a number of them! Hang one over the dance floor or use small versions as decorative pieces! 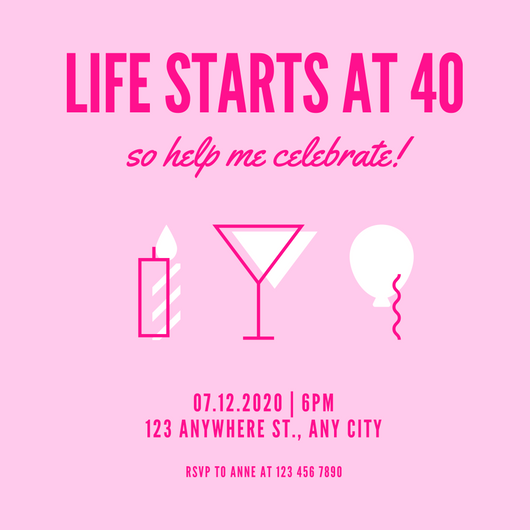 Make the celebration fun and wacky with this comical 40th birthday invite. 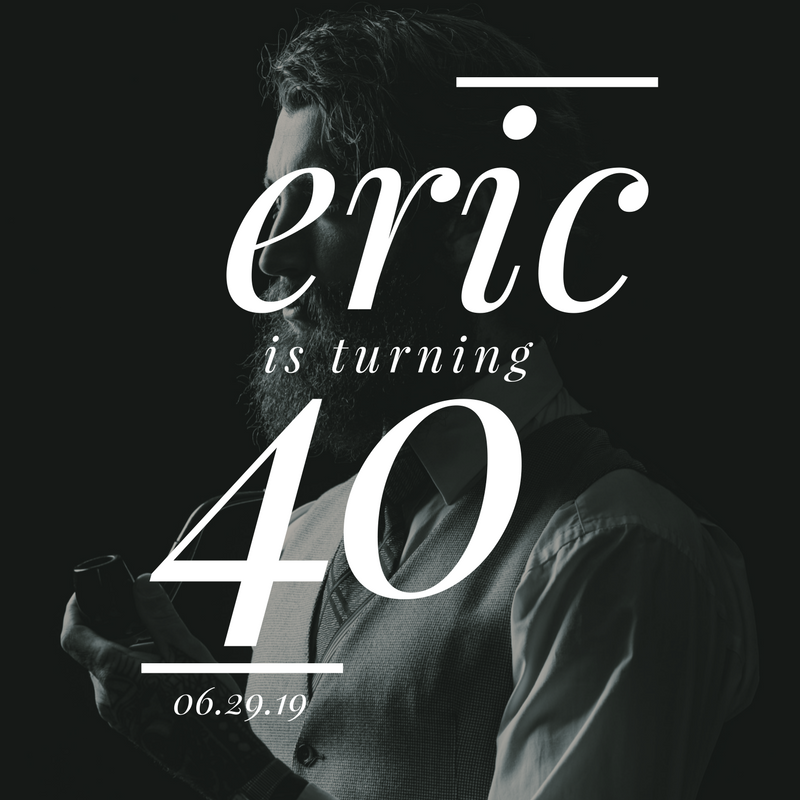 This design features bold white text on a peach background and an amusing black and white photo. 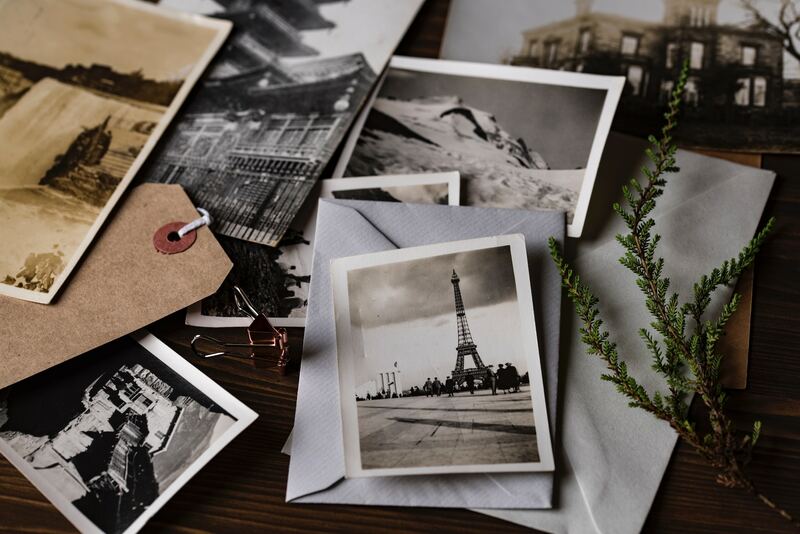 Create a comfortable and nostalgic vibe for your Over the Hill celebration by putting classic black and white photos on display. 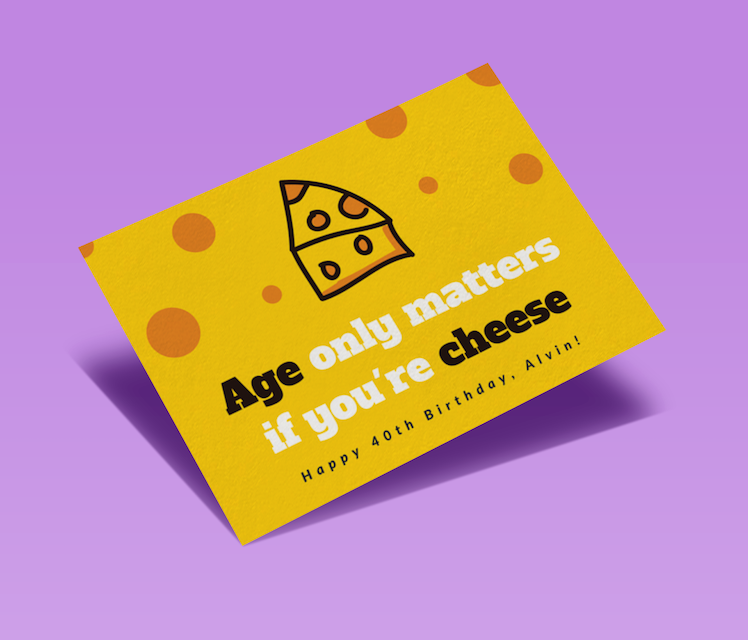 Poke harmless fun at the birthday celebrant’s age with this funny card featuring a cheese-like background, an illustration of a cube of cheese and bold text in a print font. 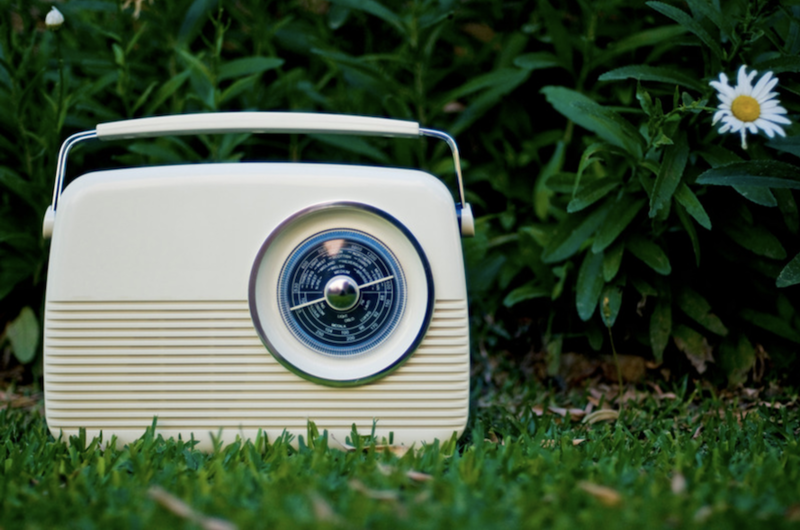 Go for a vintage or retro theme and take any of your old school items out of storage and use them as part of the party decorations! 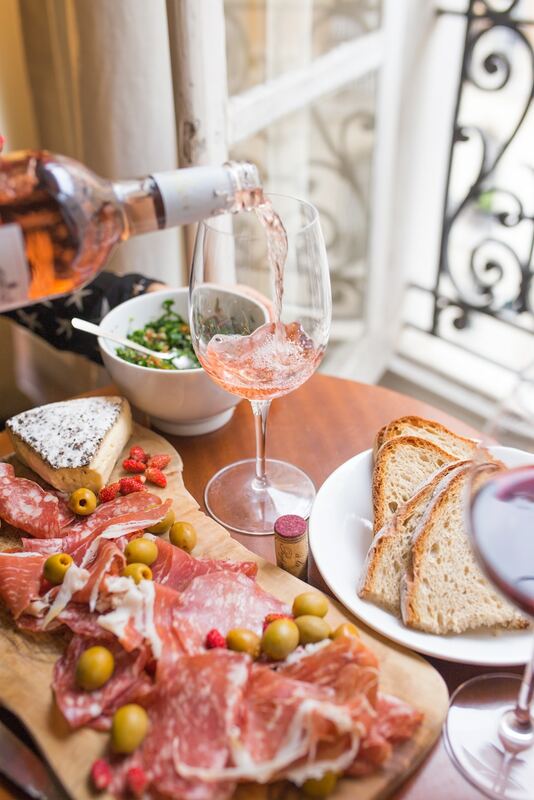 Make it a slightly fancy and casual party by serving a platter of cold cuts, bread and cheese. Complement the food with delicious sparkling wine! 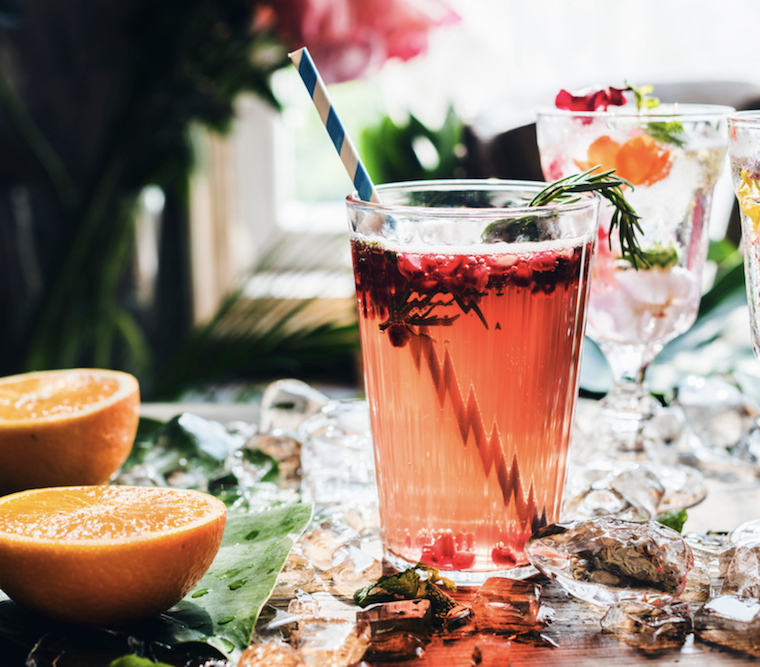 Keep your guests refreshed with yummy cocktails and mocktails! Make it easy for you and just serve a good fruit punch! 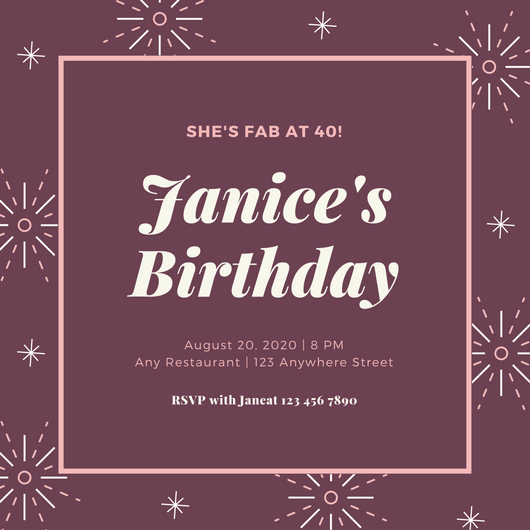 Let everyone know growing old in style can be done with this classy and posh invite. 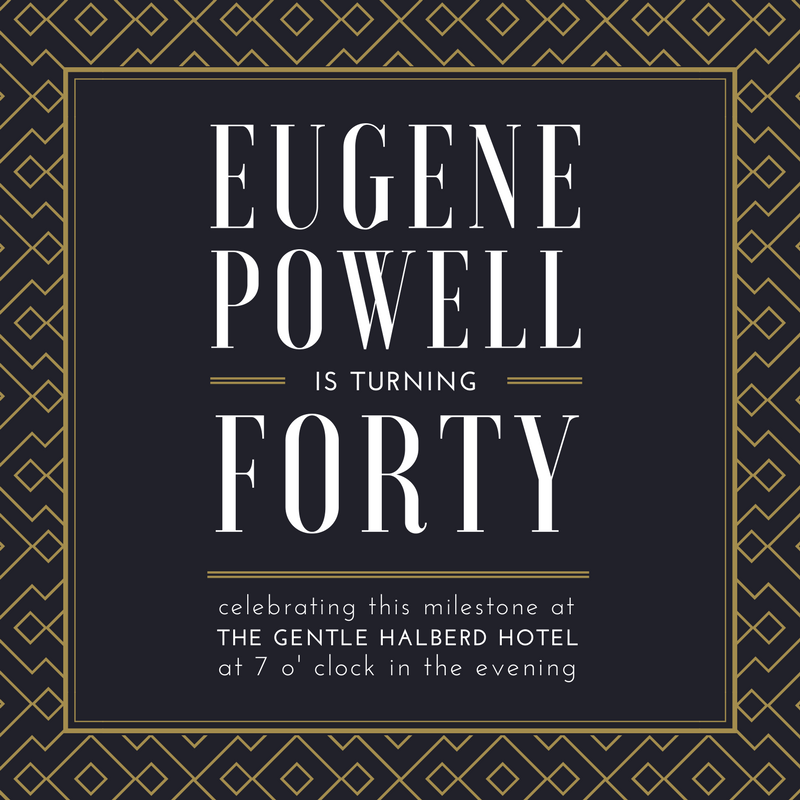 This birthday invitation features a gold and black design with Great Gatsby inspired typeface. Give your dessert course a fun boost by serving fruity ice cream sticks! 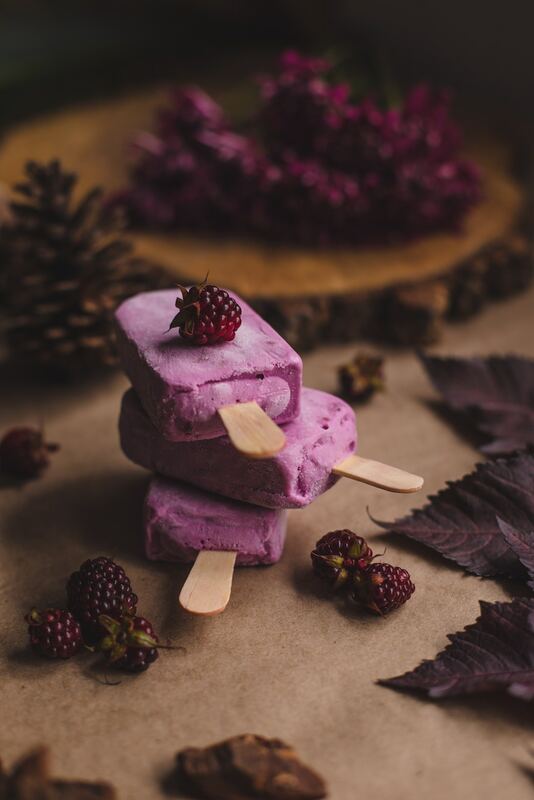 Be inspired by this beautiful image of purple ice cream sticks and berries! Yum! 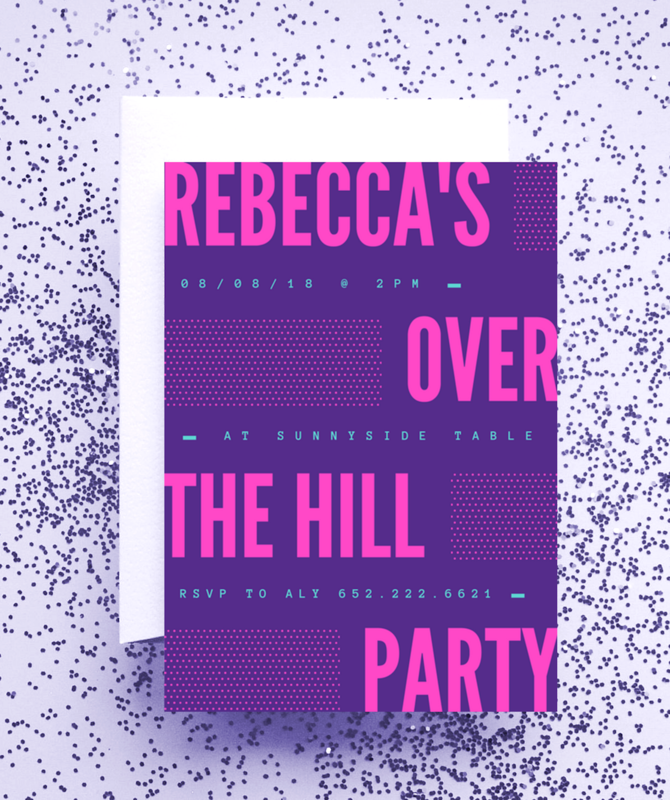 This fun and modern invite will make people question if you’re really over the hill! 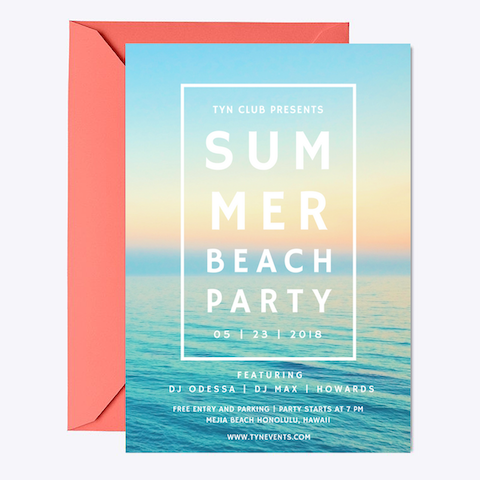 This invite sports a neon pink and purple design with pink dots and big and bold text in a mix of print fonts. 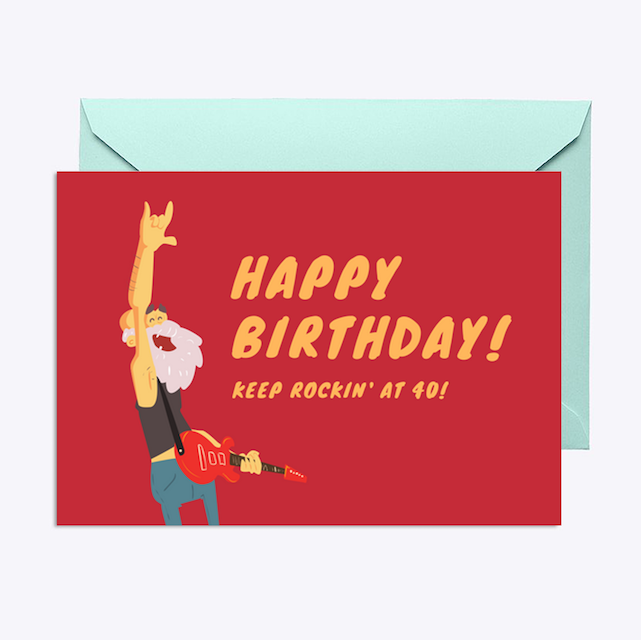 Rock out and send good birthday vibes with this fun card featuring a red background, orange text in a marker style font, and an illustration of a grandpa playing a guitar. 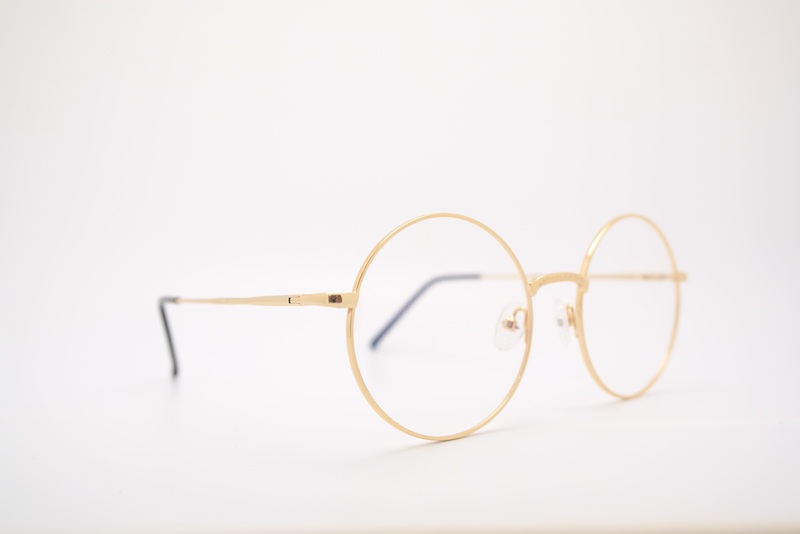 Go for a funny Over the Hill theme and create hilarious decorations with everyday objects often associated with getting old, such as eyeglasses, false teeth, dentures and more! If you’re going for a chic and elegant vibe, vintage items and white elements create a timeless look! 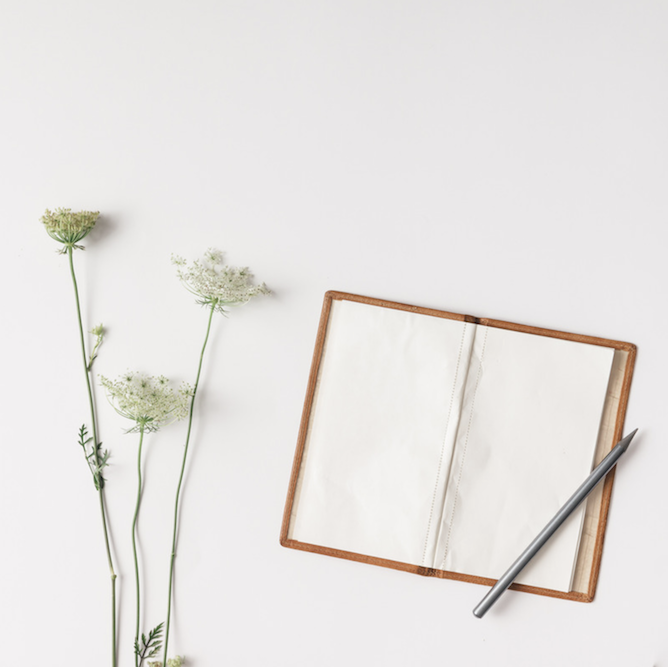 Take inspiration from this gorgeous image of flowers and a vintage notebook. 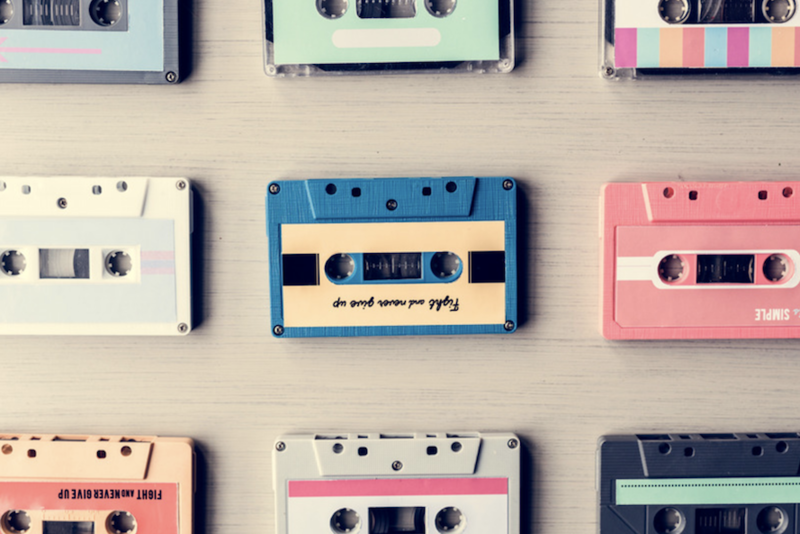 Bust out your collection of vintage cassette tapes or other retro objects and put them on full display! 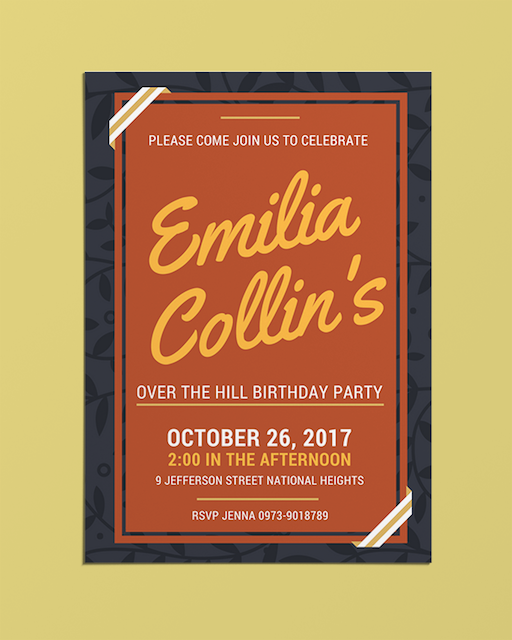 Create a retro feel for your Over the Hill celebration! 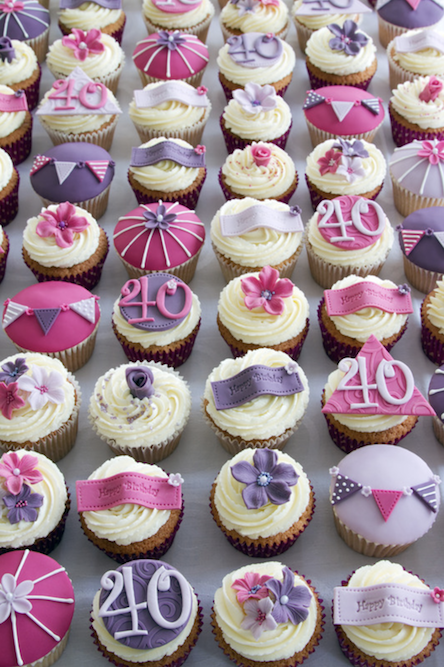 Cupcakes are perfect for any party, no matter what age you’re celebrating! Make sure your cupcakes are decorated according to the celebration! 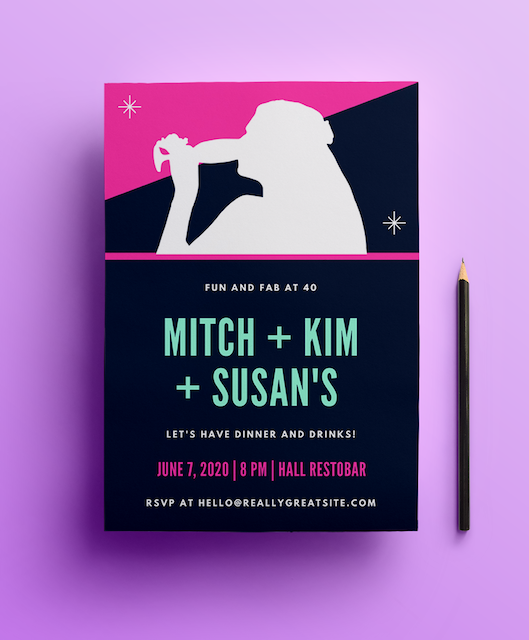 This modern invite will prove there’s no reason you still can’t party when you’re over the hill! This invite sports a dark floral border and yellow and white text in a mix of modern fonts. 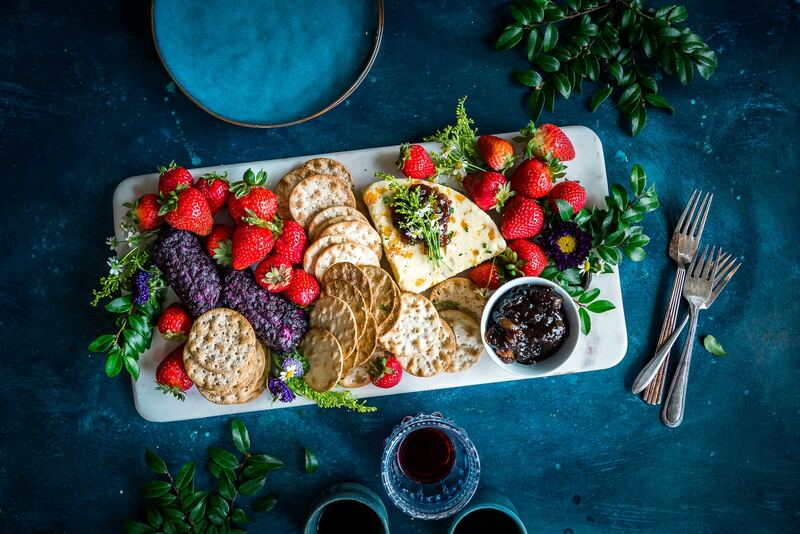 If it’s just a casual or informal get together, you can serve fruits and biscuits with wine, juice or even tea! Simply celebrate going over the hill with friends and good conversation! 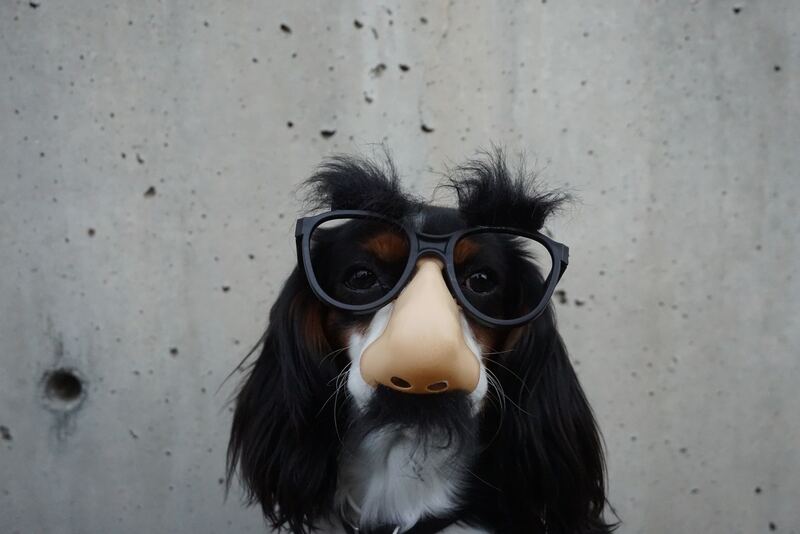 How about making it a wacky Over the Hill party and make everyone wear dorky Groucho glasses? Hand out the glasses as a party favor your guests can keep! Toast to the birthday celebrant with a good bottle of champagne! 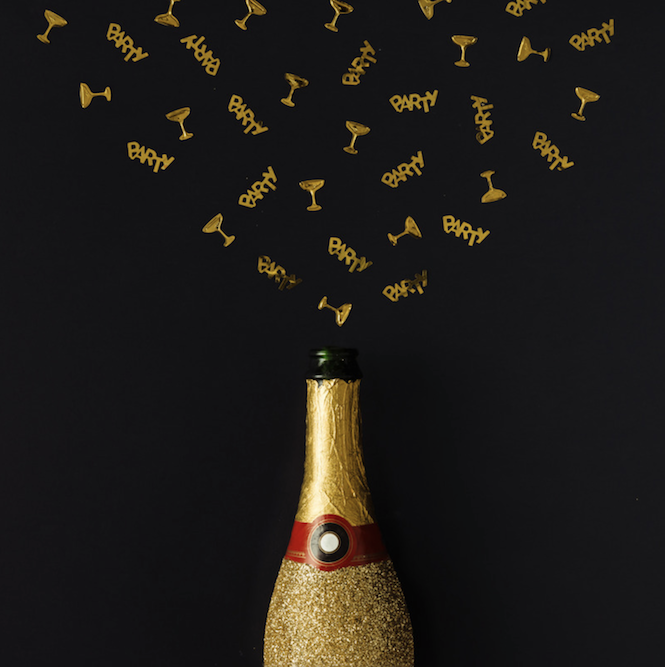 Sweeten up the celebration with gold confetti! You don’t really lose your sweet tooth when you age! 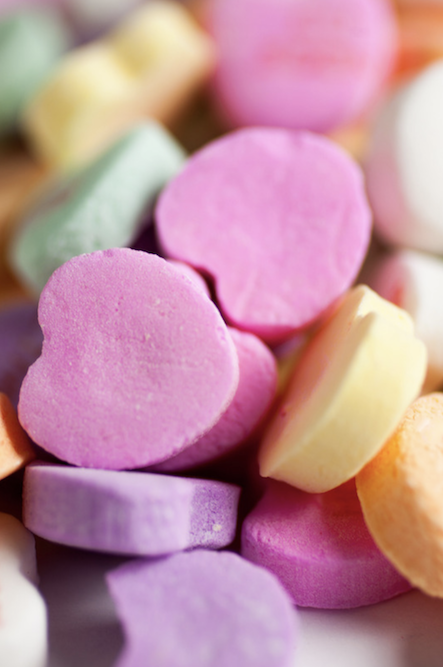 Jazz up your Over the Hill party with a colorful candy buffet for all the “young at heart”! 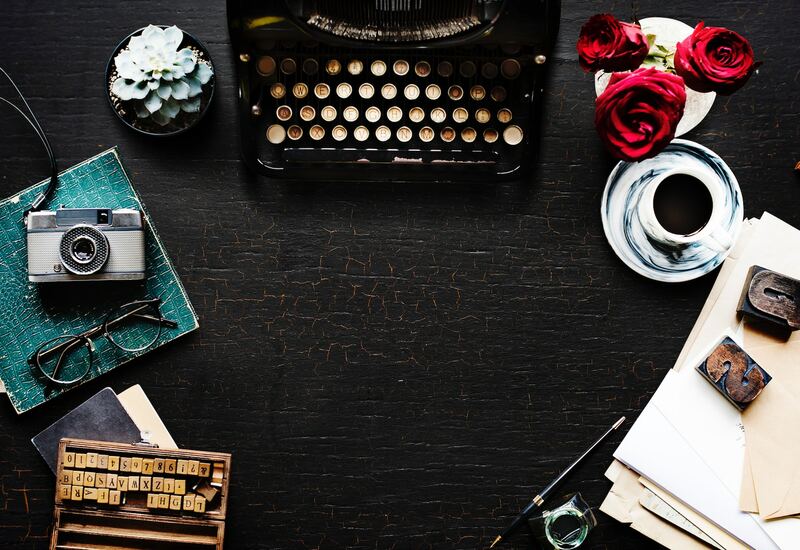 Set out your favorite vintage items for a good flatlay! Take a photo and use it in your invites or as a backdrop at your party! You can also use them as table decors! 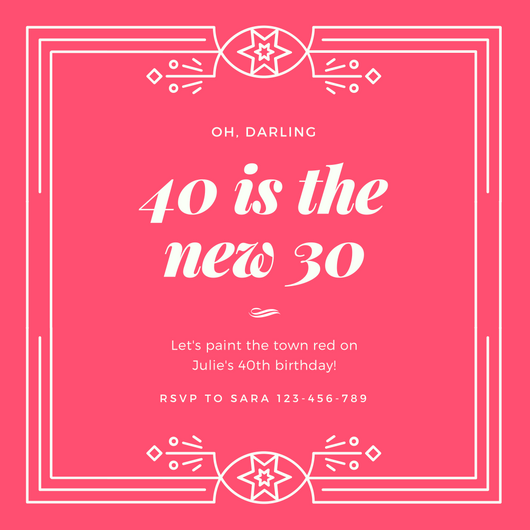 Give off an edgy vibe with this cool and funky 40th birthday invitation! 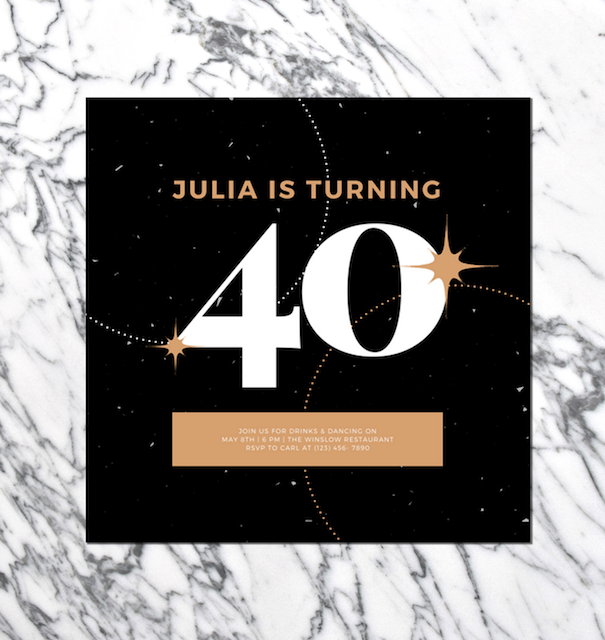 This design sports a textured black background, bronze and white text and sparkle illustrations. Show everyone that going over the hill doesn’t turn down the sparkles with this cute invitation. 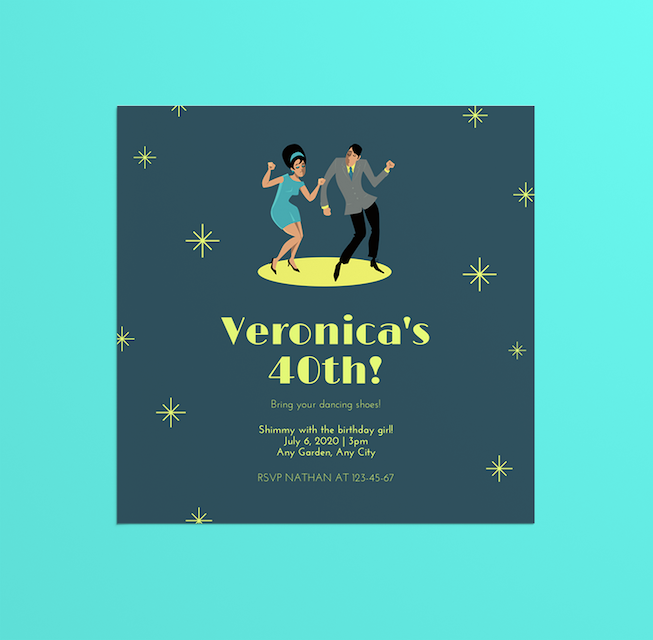 This invite features a green background, sparkle icons and an illustration of a couple dancing. 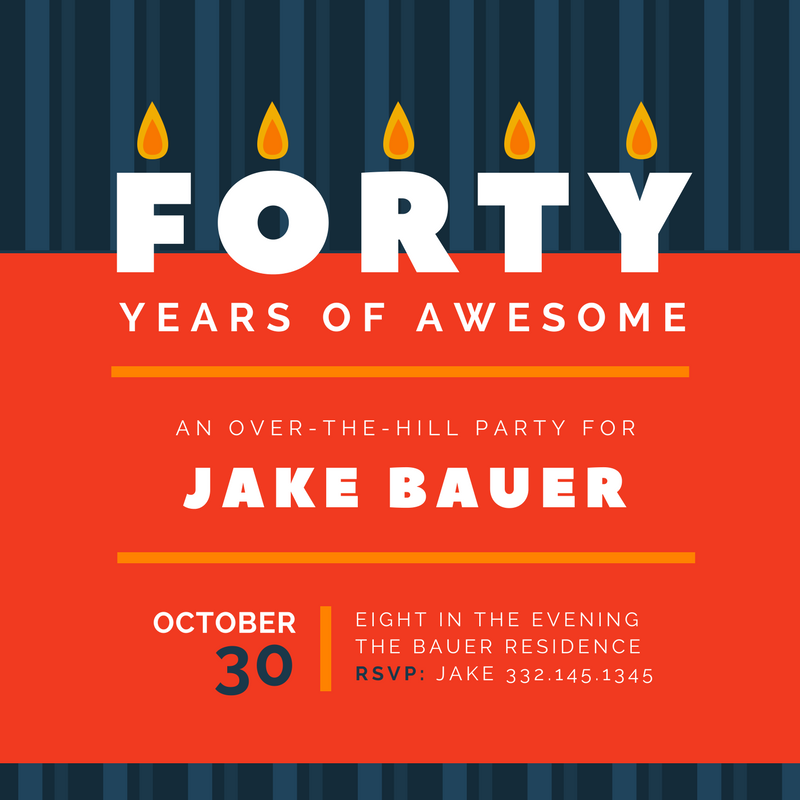 Going over the hill is definitely groovy as shown by this positively hip birthday invite! 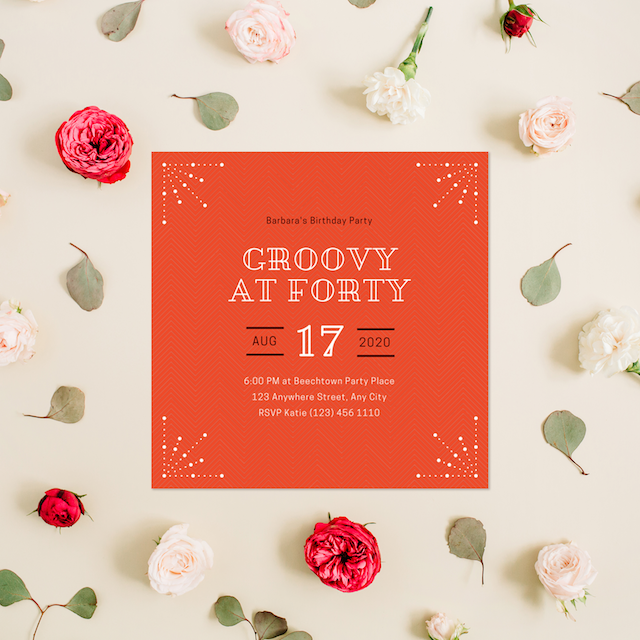 This design features an orange patterned background, white embellishments at the corners and cool decorative fonts.